We have been back from our 12-day adventure for roughly 2 weeks now. I am still sorting out the pictures on my computer, discarding the crooked, the blurry and the ugly…. and intend to put together some kind of blog posting, or postings, as soon as I can organize my notes and thoughts. Meanwhile, time is slowly ticking away and I keep thinking about how I need to get a song posted. One of the songs I am most excited about from the trip is from the night we had the group jam. This was an organized ukulele jam held on the first Friday night, and it was referred to as “informal jam”, ha ha! Many of the participants had been asked ahead of time to email 5 or 6 songs to trip organizer Donna Curtis, who then forwarded them to her hubby Harry. Harry and his friend Cheryl, who was also coming on the trip, organized the songs alphabetically into a big document for us to print out and bring with us (or just keep on our tablet). So one of the songs available was the lyrics to a song by a famous Hawaiian performer called “Willie K” called You Ku’uipo. It was contributed by Sarah and George from Oregon. I really loved it, and was similarly enamoured with Beautiful Kaua’i, which we heard almost every day no matter where we went. 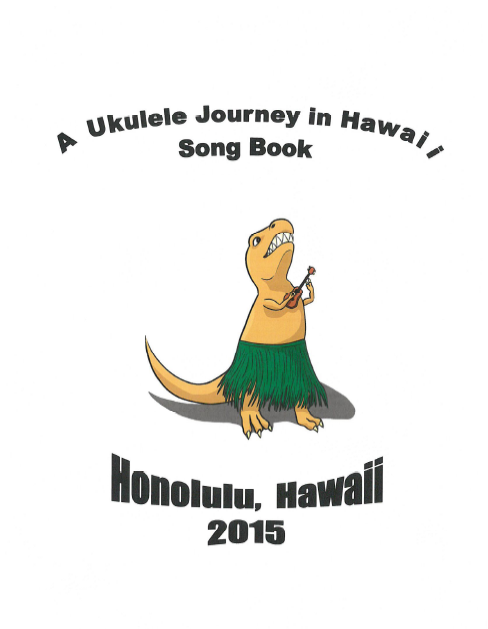 Willie K is credited with the song, but in reality he put music to an already published poem. The song actually started out as a poem written by Gilbert Belmudez, who wrote numerous poems and prose upon moving to the Island of Maui in the 80’s. Belmudez wrote You Ku’uipo to express his love for the beauty of Hawaii, and share his pet name for his new island home, “ku’uipo”, which means “sweetheart”. Eventually Belmudez had to move to mainland USA in 1988 where he began copy-writing and publishing his collection of prose and poetry. Willie Kahaialii aka Willie K was a famous Hawaiian musician, singer and performer on the island of Maui who also hosts the Maui Blues Festival. He has several international CD’s and recently starred in a movie based on Hawaiian lifestyle called “Get a Job” that won awards at the Detroit Windsor Film Festival. In 1990 Gilbert Belmudez approached Willie K to put music to his poem “You Ku’uipo”, and the rest is history. You can read all about these guys, mostly by Googling them, or you can check out Willie K’s discography and view the movie trailer at his website: Willie K.
Below is the song and I have 2 great Youtube video’s to go with it. Words by Gilbert Belmudez. Music by Willie Kahaialii – “Willie K”, in this key. To see the beauty in passing [G] days. Bring these moments to my [G] mind. [tacet] One of a [G] kind. To feel the beauty of passing [G] days. Scatter throughout the lovely [G] night.